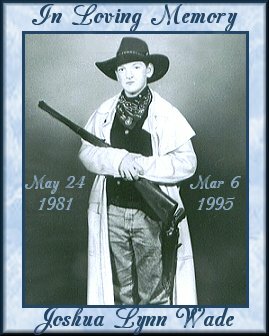 in a horse riding accident, he was 13 at the time of his death. 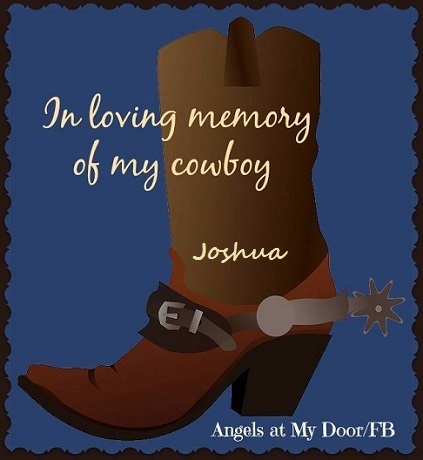 These are three very special gifts to Angel Joshua from my friend Marie. 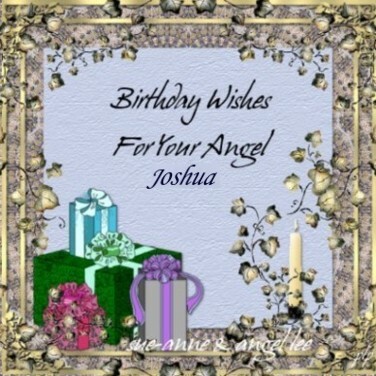 These are three beautiful and loving gifts for Angel Joshua from my dear friend, Carol, mom to Angel Michael. 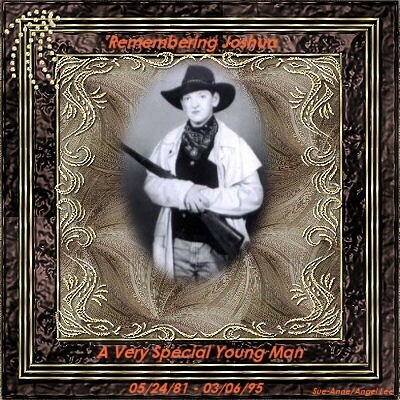 I have many pictures of Jessie and Jamie, but of Joshua I don't have as many since we had a total loss house fire on Nov. 5, 1991.
but I will scan what I have and want to share. received from family members after the fire. 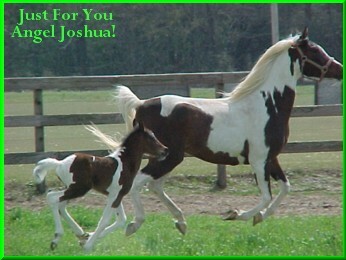 Joshua loved to play with Jessie and Jamie. 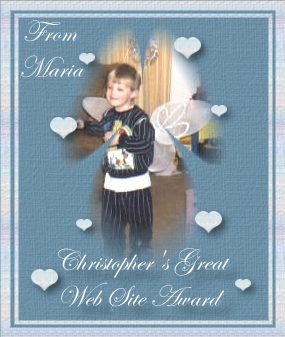 he loved little ones so much. and we were so proud of how well he dealt with it. 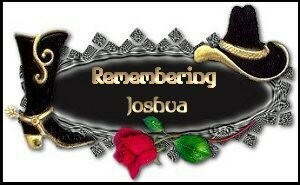 Joshua never used this as a crutch, he never felt sorry for himself. the time he started the seventh grade until his death in March. He was in the band, he played football, and baseball. 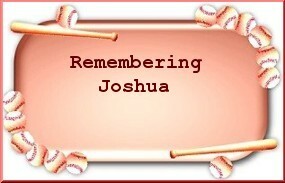 This is one of the many sports teams Joshua played on, he also played football. in drop off his book bag and go ride. 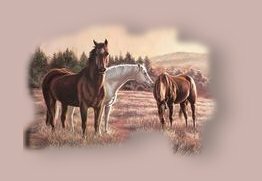 His horses were "My Girl" and "Bayjet". 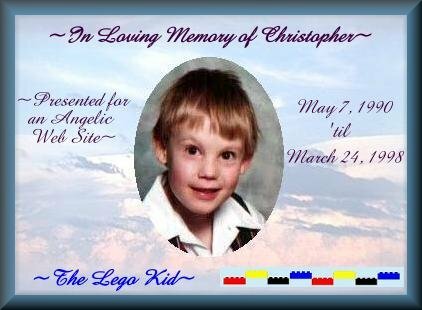 He was riding Bayjet that fateful day. 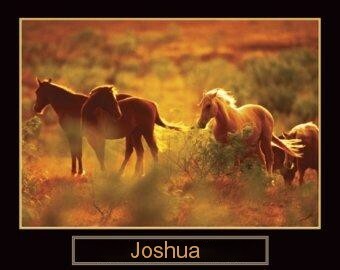 And as usual, he was riding her like the wind, you see, Joshua only had two speeds, wide open or still. just trying to look very serious. I love this picture. It is one of the pictures I keep in my wallet. 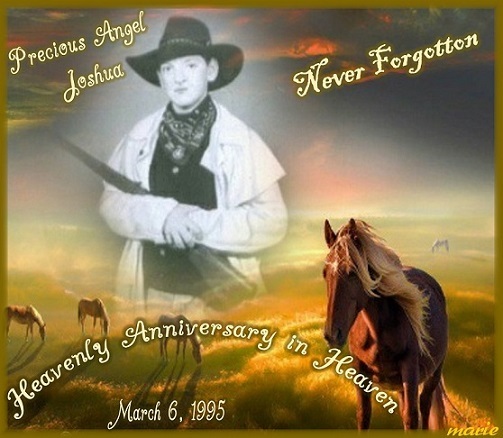 Joshua was so happy when he was riding his horses, and he was so good at it. 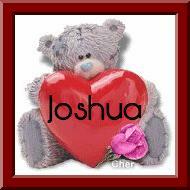 Joshua loved school and he did very well. He was on the honor roll more than not. He loved to talk, and talk he did. flipped it and sewed it to his upper lip, then sewed them shut, save a small opening, just for emergencies. Whew, that was something. watching Joshua to make sure he was breathing ok, and not getting nauseated. 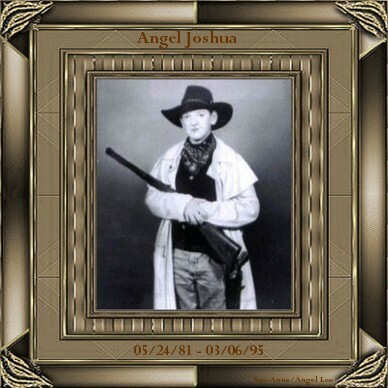 But in true Joshua fashion, he did wonderfully. as we could blend it. He was absolutely amazing, and he never stopped talking. Joshua and Mom after surgery. 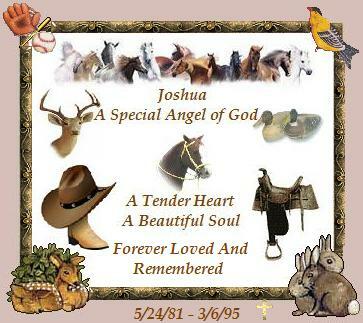 Joshua was 7, and 8 when we had Jamie. He did love them so very much, as they did him. and on Mar. 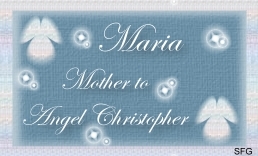 14, 1996 my husband's Mother and great-niece were killed in a car accident. 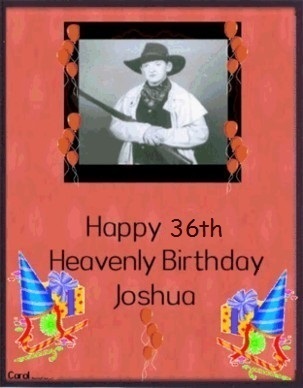 That was just after the first anniversary of Joshua's death. Heather, the children's summer time babysitter, along with two of her friends were killed in a car accident, could it possibly get any worse. 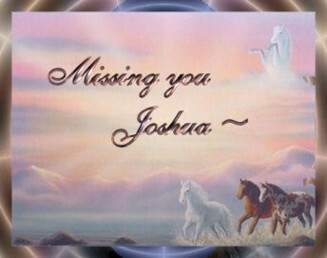 our new normal, Life without Joshua. 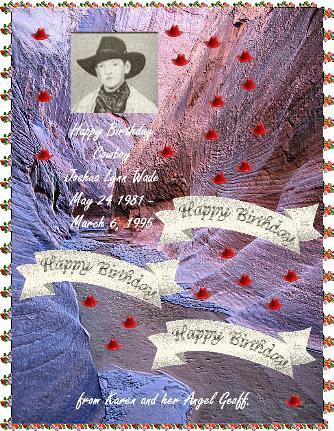 His name was seldom ever spoken by anyone but me. Everyone seemed to tiptoe around the subject. and life as I knew it would cease to exist. I would never experience that "normal feeling" again. 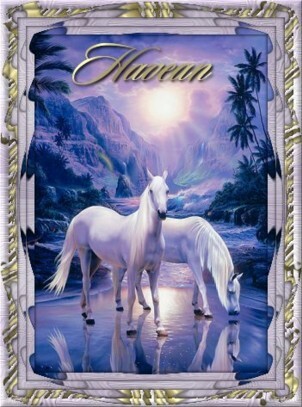 mindful of the many blessings you have bestowed upon us. 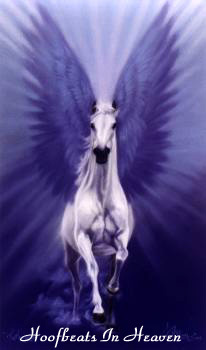 We ask, Lord, that you will be with us in the arena of life. 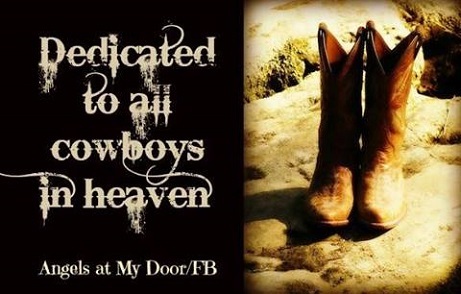 We as cowboys do not ask for special favors. the steer that won't lay, or to never break the barrier. We don't even ask for all daylight runs. 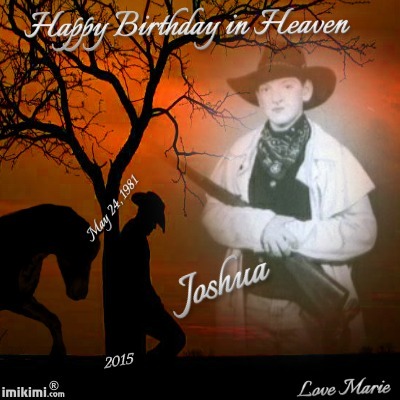 "Welcome to Heaven cowboy, your entry fees are paid." and carry you through to the end. 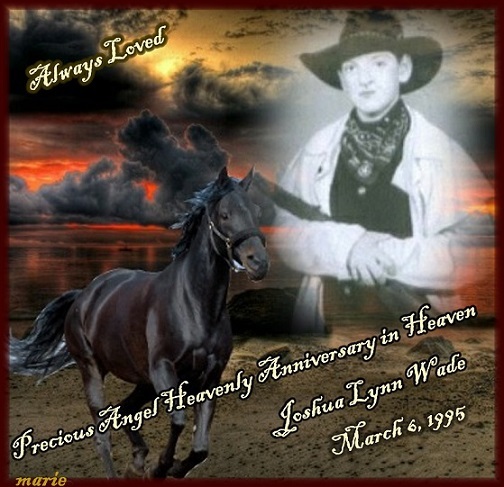 For the Wade family on the Angelversary of your Angel Joshua. May God bless and comfort you always. 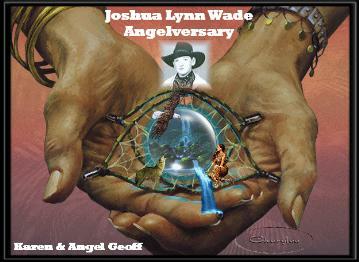 A small gift for Joshua Lynn Wade's Birthday page from one grieving mother to another. 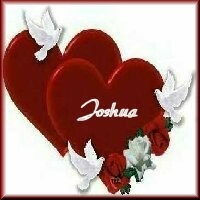 God bless and comfort you.